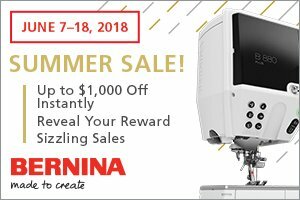 Get ready to beat the heat with a new Bernina sewing machine! 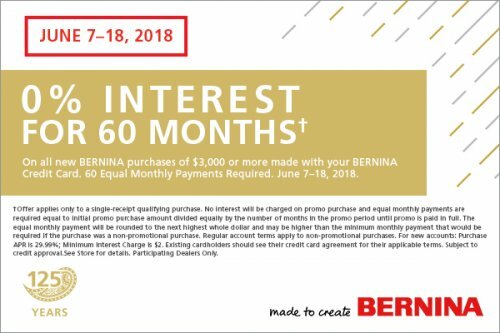 Get up to $1,000 off instant savings off the sale price of your new Bernina! Scratch off the scratcher that you received either in the mail or at the store to receive a free gift with purchase! You could win a Bernina Suitcase System or several other great FREE GIFTS to go with your new machine! There is even a scratcher JUST FOR THE LONG ARMS! Win Gripper Rings, Ruler Kit, and more! 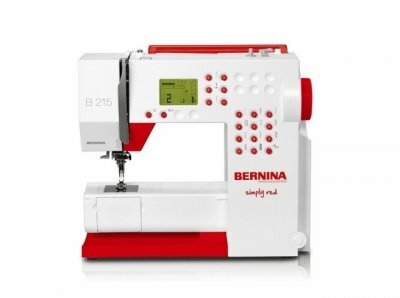 The Bernina 215 is only $599! 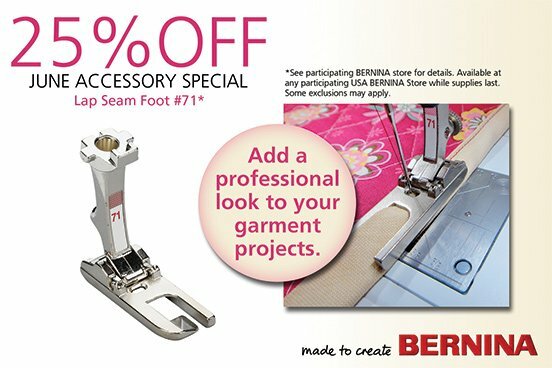 That is such a great deal for a great simple, strong, work horse of a Bernina! Easy to use, and only does what you need. This machine is great for toting to classes (and uses all the new style Bernina feet). The 215 would also make a great machine to give as a gift to take to college! Feet are also 25% off June 7 - 18th too!